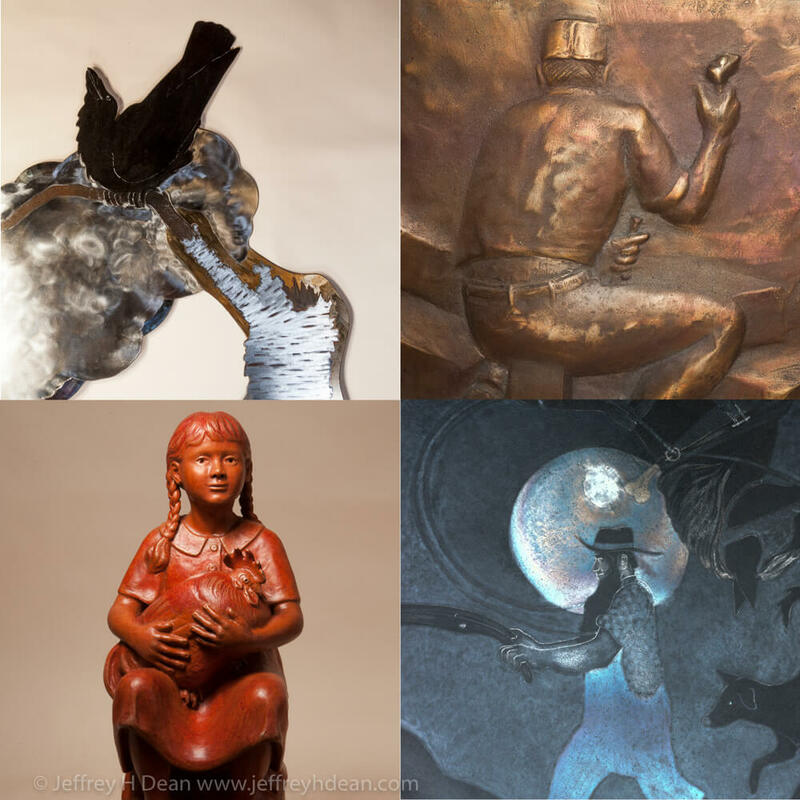 See what’s currently for sale in our online sculpture gallery. You’ll find both limited edition and one of a kind works in a broad range of subjects and materials. Sometimes it’s difficult to find ready made artwork for that special focal point in your home or business. Here you’ll find examples of commissioned artwork I’ve made for others along with a list of the many types of work I can make. Whether you are just looking, or looking for something in particular, my portfolio is the place to get a sense of the depth and breadth of our work. From miniature to architectural, you’ll find examples of both three dimensional and bas-relief sculpture, heat tinted steel wall art and pierced steel wall sculptures. Browse my 84 page presentation portfolio in an easy to read format. Join Homer, Alaska artists, Ranja and Jeff Dean for this unique, guided tour. 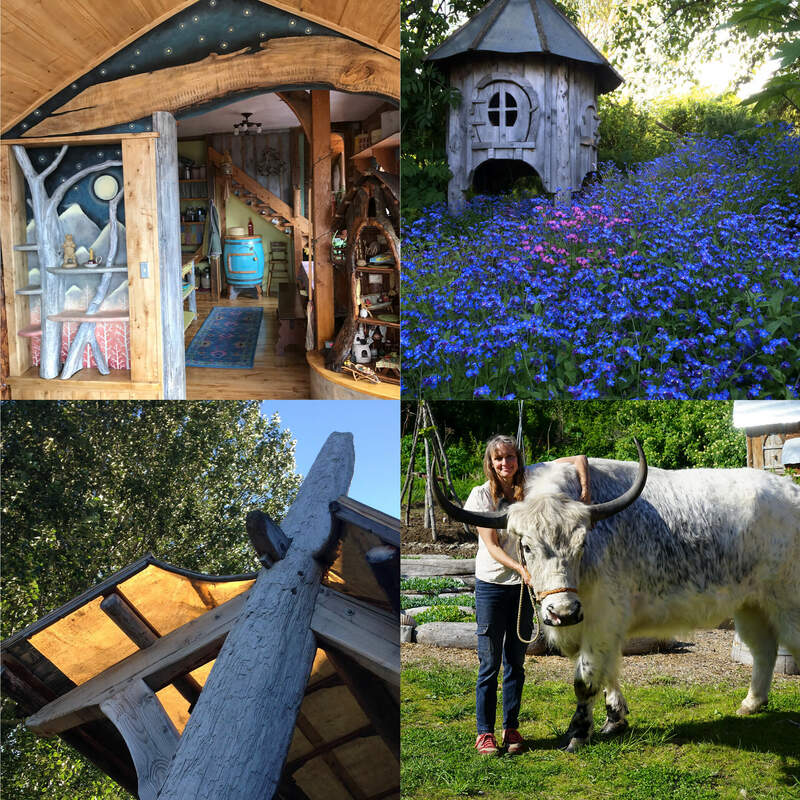 You’ll be immersed in our creative Alaskan lifestyle as you meander through a menagerie of art and animals, gardens and architecture; from patchwork quilts to timber frame barns, towering beach logs and arched roofed structures, innovative tools, farmstead gadgets and museum quality artwork. 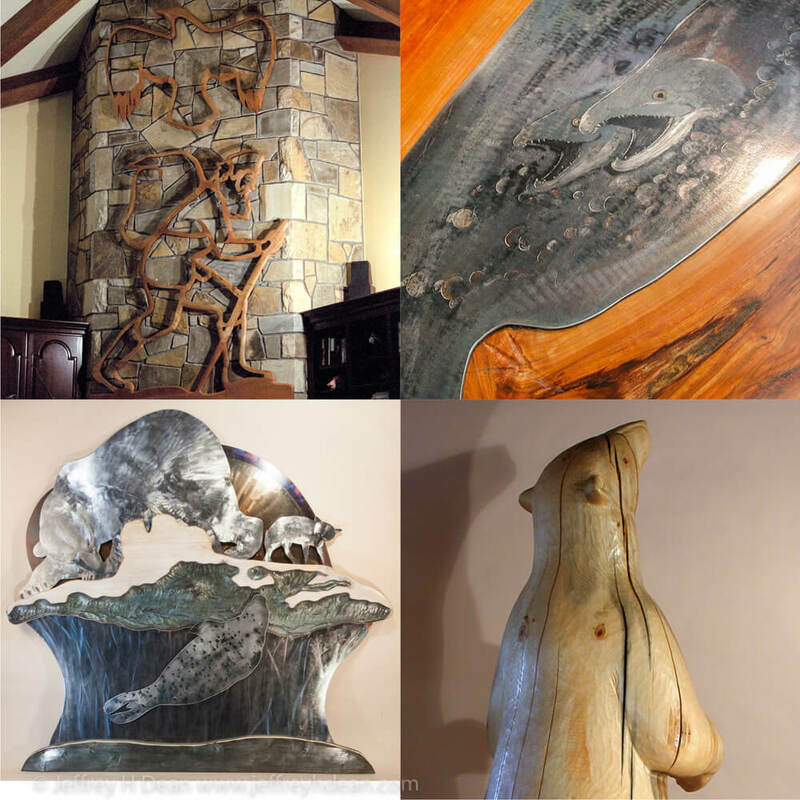 See what’s currently for sale in our online sculpture gallery. Shop for both limited edition and one of a kind works in a broad range of subjects and materials. Sometimes it’s difficult to find ready made artwork for that special focal point in your home or business, or a favorite public space. Here you’ll find examples of commissioned artwork I have made for others and a list of the many types of work I do. I’d be happy to discuss the possibility of making a custom sculpture for you as well. Whether you are just looking, or looking for something in particular, here is the place to get a sense of the breadth of our work. 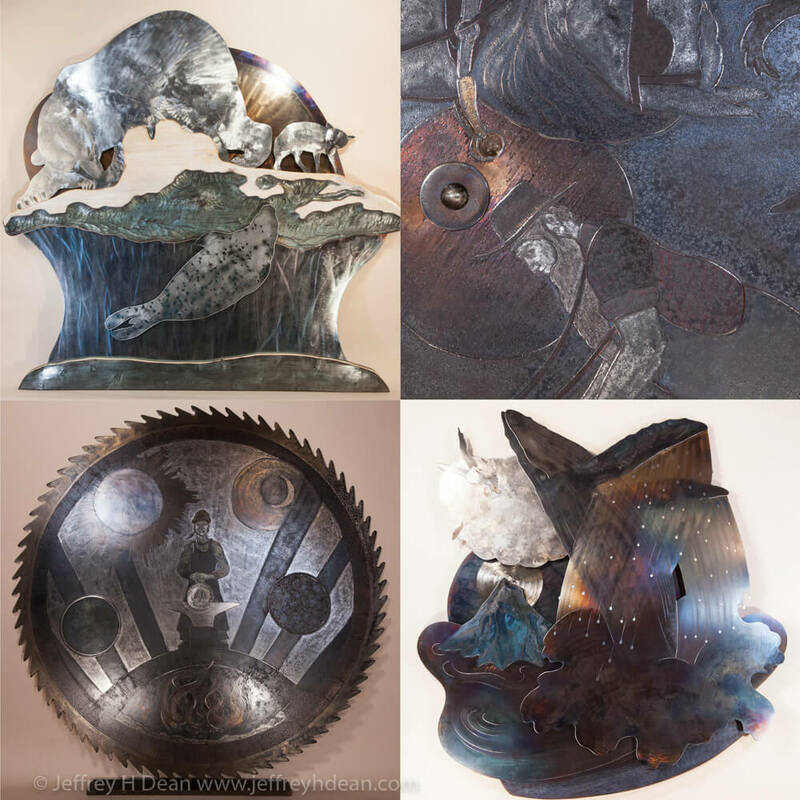 From miniature to architectural, you’ll find examples of both three dimensional and bas-relief sculpture, heat tinted steel engravings and mixed media or pierced steel wall sculptures. 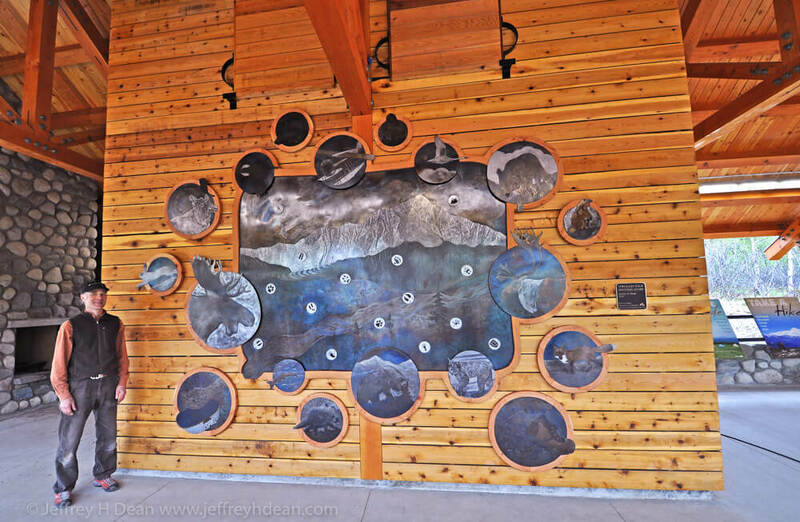 I recently installed this large engraved steel wall art at the new Kesugi Ken Interpretive Center in Denali State Park. It's located in the new campground at mile 135.4 on the Parks Highway. This page will give you a tour of the piece and show how it was made.